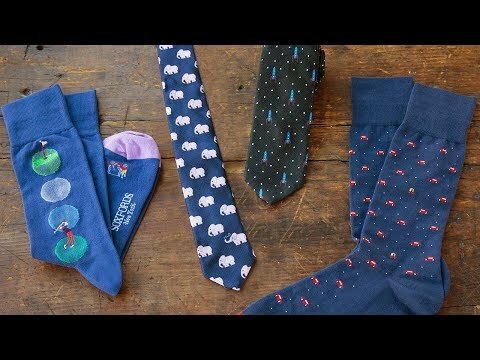 These cheeky ties prove that fun ties for men can be well-constructed, too. 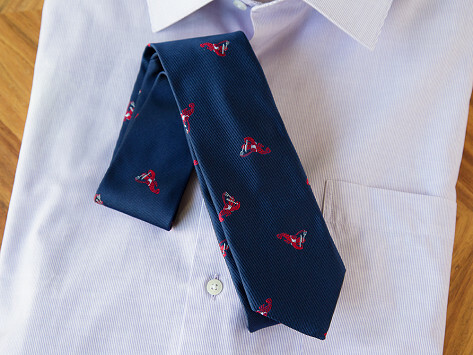 The ties are Made in the USA with 100% pure silk for a classic, polished finish—while the embroidered prints are subtly tongue in cheek. Dimensions: 29" x 2.75" x 0.2"
That’s the motto for Soxfords, whose personality-laden socks and accessories are sophisticated, too. The seed was planted when Ryan Kent wanted to buy his dad some fish-themed socks for Father’s Day. Ryan only found kitschy ones his dark-suit-wearing dad couldn’t don in the office. He decided to create his own workday-appropriate designs that are lighthearted yet ready for business. Comfy and durable, each pair is made with two-ply Pima cotton yarn to wear well with less pilling. When their socks took off, Soxfords started to design other accessories for men and women with that same attitude. Everything will please both your practical and whimsical sides.